The "Real Mile" was Coach Doug Kotti's personal favorite - with a personal best of 4:06.8! Coach Doug vividly shared stories of his lifelong passion with young athletes, parents and coaches he passionately recruited! It was our friend and mentor's contagious enthusiasm, feisty spirit, competitive core, gentleman's demeanor and inclusive nature that grew our Storm Family from its infancy in 2010 to ICRC's Track & Field and Cross Country team it is today. Coach Doug believed in people. He believed that a young runner could build their endurance and be competitive in the 1500 meters with hard work. He believed that a young jumper could vie nationally if they focused. He believed that a young thrower could compete amongst the best high school students in the state. And, he believed that a community would rally around a youth track team. Rally it did! Over the last eight years, hundreds of athletes have competed with Storm's signature blue singlet - breaking USATF S.C. State Records, holding USATF Regional Championship titles and celebrating many USATF All-American athletes! Our fearless leader understood more than the importance of developing young athletes. Coach Doug's heart led him to encourage, guide and champion fellow coaches. He knew that the greatest gift he could give his beloved community was to lead by example and lift up those that shared his passion. 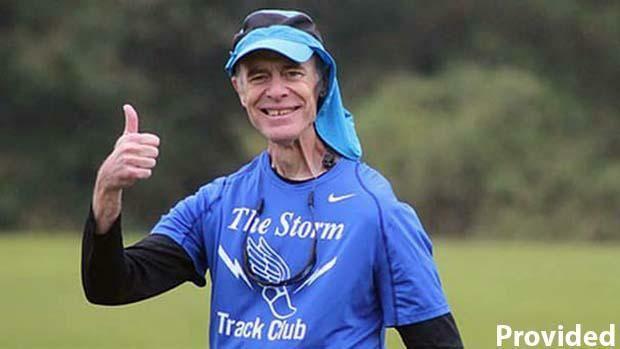 Current and former Storm Track Club coaches are paying forward Doug's passion and wisdom at the high school and elite levels. On Thursday morning, the Storm Family will celebrate the life of our courageous leader, coach, mentorand friend. Clad in our favorite royal blue, we will share with one another our own vivid stories of a man who always put others first - a man who truly embraced a life of serving others and a man whose passion will continue to live within all of us. Funeral services for Douglas Kosta Kotti, 62, will be held at Trinity Episcopal Cathedral in Columbia, S.C. at 11 a.m. on Thursday, December 20, 2018, with interment at Bush River Memorial Gardens. The family will receive guests for visitation on Wednesday, December 19, from 6:30 to 8:30 pm at Temples-Halloran Funeral Home, 5400 Bush River Road, Columbia, S.C. 29212. In lieu of flowers, Doug's family asks that memorials and donations be made to the Palmetto Health Foundation.